Although electric cars offer numerous benefits in engineering, design, and zero-emission operation, their overall weight remains a hurdle for automakers, especially as bigger batteries with longer ranges become more important. It now appears that Toyota may look to airless tires as a way to cut weight in its future electric cars: It debuted the conceptual tires in its Fine-Comfort Ride fuel-cell concept car at the Tokyo Motor Show last week. 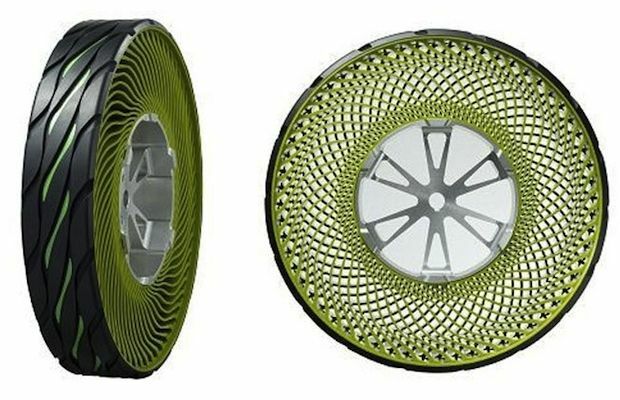 While airless tires are years away from commercial availability, and weigh roughly the same as traditional tires, Toyota hopes further development will make them suitable for electric cars. Chief engineer Takao Sato explained the airless tires at the 2017 Tokyo Motor Show alongside the Fine-Comfort Ride concept, which features in-wheel electric motors. The tires contain a band of rubber encircling a plastic-aluminum hub, and Sato believes future technologies will allow lighter tires to compensate for the weight of electric motors and battery packs, he told Bloomberg. In the future, perhaps by 2025, Sato said improved technology will likely shave 5 kilograms (11 pounds) from current airless tires, which would represent a significant weight savings over today's conventional pneumatic tires. Sumitomo Rubber developed the airless tires; the company said the technology will work with any size of vehicle. Currently, the company is testing the airless tires on tiny Japanese kei cars and golf carts. While weight reduction is the overall goal, the airless tires have another major hurdle still to be overcome: rolling resistance. The friction produced by airless tires is 10 to 20 percent higher than conventional tires at the moment, according to Wako Iwamura, head of the project at Sumitomo Rubber. That greater rolling resistance likely negates many of the benefits the tire offers, especially in electric-car applications. Manufacturers like Sumitomo Rubber will also have to convince both manufacturers and the public at large that the tires are safe, since no company has carried out large-scale tests. 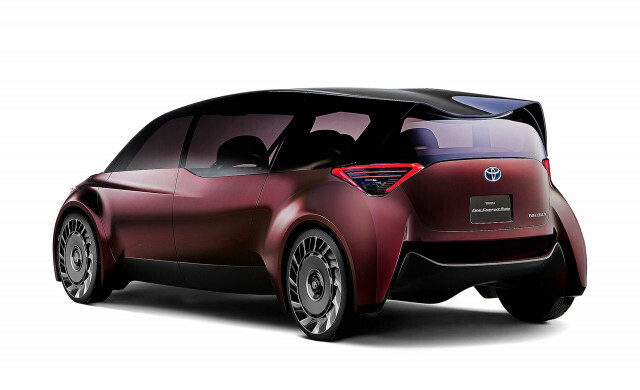 Toyota's Fine-Comfort Ride concept previews the future of personal luxury cars, according to the brand. It aims for a 600-mile range, thanks to a fuel-cell stack at the front of the vehicle, which turns hydrogen from tanks under the floor into electricity to power the motors that drive the car. The concept also features an Artificial Intelligence assistant to take over driving should the driver grow tired. While in self-driving mode, the driver turned passenger is free to turn his or her chair and converse with other occupants. 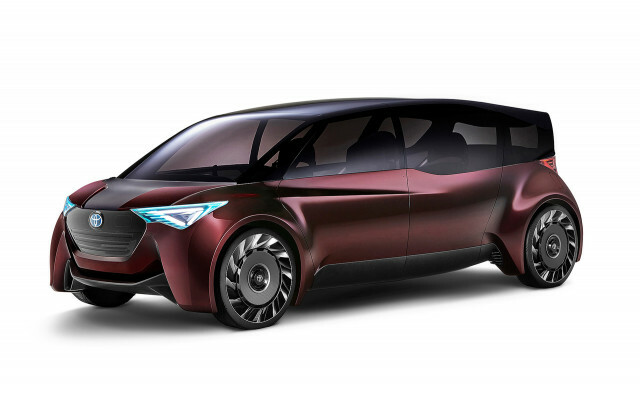 The first Toyota battery-electric car is slated for a 2022 introduction, but the company remains focused on fuel cells as a core part of its zero-emission strategy.